17751 SE 96th Ave Avenue, Summerfield, FL.| MLS# 549380 | Spruce Creek Realty...Retirement Communities in Florida, Resale Homes In Spruce Creek South, The Villages, Stonecrest, Del Webb. 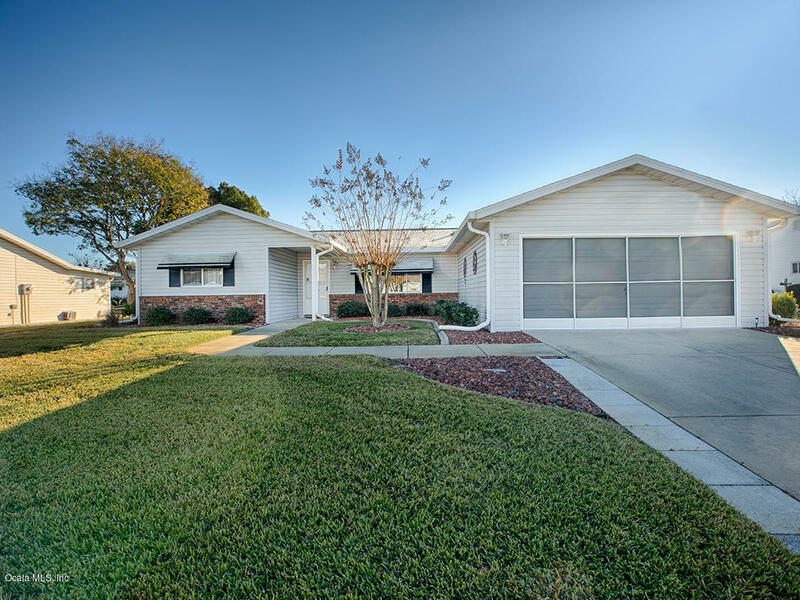 Spruce creek South 55+ community, Summerfield, FL WOW you will love this home, 3 bedroom and 2 bathrooms. Holly is a beauty and one you need to see. Granite counters, tile back-splash, pullouts in cabinets, porcelain tile except for bedrooms, newer roof (2014), newer A/C ( 2017), brand new hot water heater, new garage door opener (2018) enclosed lanai with acrylic windows, tile floor, vaulted ceilings, granite counter tops in both bathrooms, rock beds with curbing, and the list goes on and on. Come enjoy golf, pickle ball, tennis, pool, softball, cards and soo much more. Maintenance $141.46 monthly. Manned gate, close to shopping (Walmart- CVS, banks, doctors and restaurants. 5 minutes to The Village square.